If you’re involved in an international dispute, there’s no doubt you are concerned about the importance of retaining the right kind of legal representation. More and more businesses are engaged in the international market in some way, meaning that the opportunity for some kind of international conflict along the way is increased. Our firm offers a unique perspective and experience that will help resolve international disputes efficiently and effectively. When you’re involved in some type of international dispute, you need a firm that you can trust. Our unique value proposition helps to place us at the top of your list. The global marketplace is expanding, and so too are the rules and regulations linked to working within it. Understanding the complex and nuanced processes of an international dispute can be overwhelming. Failing to retain the right firm leaves a wide margin for error, and it’s also too time consuming and stressful for many business executives to consider. Understanding the aspects of a foreign jurisdiction can both help to prevent disputes in the first place and lay the groundwork for a successful dispute resolution. Our office is unlike what you might find in a traditional firm. Knowing that the international arena can be so complicated, we strive to provide both parties and their attorneys with the perspective of an international civil procedure attorney with years of experience. This allows both parties to gain the confidence that an individual is overseeing the foreign aspect of the case to prevent future concerns and to deal with appropriate international protocol early. 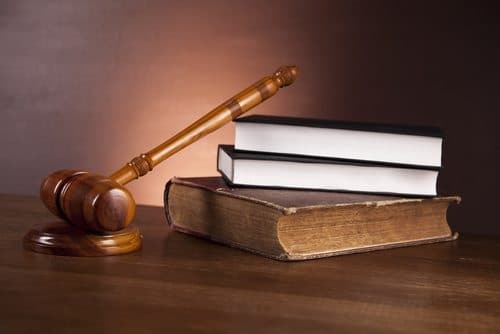 In addition to providing this kind of personalized insight to attorneys and parties on an existing case, our firm also offers an experienced international civil procedure lawyer for a complete case. Whether you need assistance with one aspect of a case or representation for a case, you’ve come to the right place. It’s a wise decision to include someone who is both knowledgeable and talented in the field of international law and procedures. Having an extra pair of eyes can prove extremely valuable in this situation. Don’t leave your case’s outcome up to chance- hire someone you can trust. Our office provides a full range of service assistance in the field of international litigation, like evidence and international discovery, questions of foreign law, service of process, international alternative dispute resolution, and foreign judgments. Retaining the services of an Illinois foreign service law attorney with a background in these aspects of international matters can lead to a faster resolution for your case and less time and money spent sorting through complicated issues. Whether you need assistance in a new case or help drafting and reviewing documents (such as ADR clauses, transaction related documents, or international joint venture agreements), contact my office today to get on the path to resolution. Just because managing a foreign legal dispute is complex doesn’t mean that your experience being involved has to be. Trust experience and trust knowledge by reaching out to the Foreign Service Law Office.